I posted a while back about “putting the home back into home reading”. My team and I were feeling like the home reading program wasn’t really working. Not only was it time consuming to sign out the books (and distracting when a parent helped), but then there was the issues of lost books, parents saying the books were too easy, too hard. Really, what school these days has a grand collection of reading books they can afford to send home? 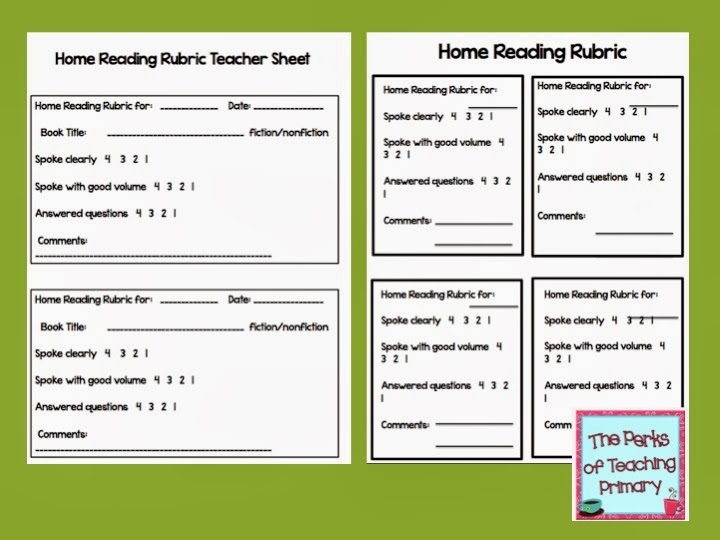 As educators, we all know how important home reading and the home-school connection is so we came up with what we feel is a great solution and alternative to the school home reading . You can read part 1 here: Some Thoughts on the Home Reading Program. You can pick up your copy of the home reading letter in that post. We used a calendar from a Carson Dellosa resource. My partner Jessica makes these for us after we discuss the goal for the month. I would like to update you with the progress of this program, now in its 3rd year (and first year at my new school). Our team is LOVING it! We are so impressed with the children and their presentations. We love the fact that it’s open-ended and parents are enjoying the fact that they can help their children and be a part of their learning. We love that reading and enjoying books can be seen as a school and home activity. Students are enjoying the presentations and are coming up with clever questions for the presenter. 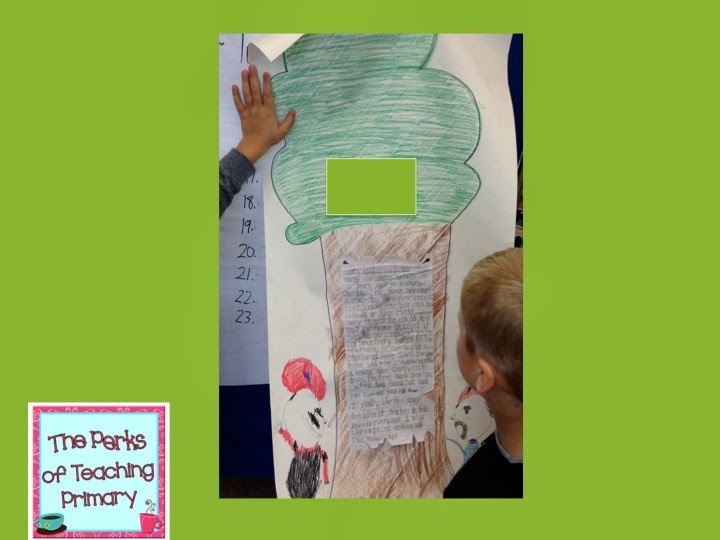 The project itself is not marked but students are marked on oral language skills: the clarity of their voice, the volume and the overall presentation (eye contact, comfort speaking etc). Some students just wrote up a little one pager and read it to the class, others got a little more creative and they dressed up as a character from the book. 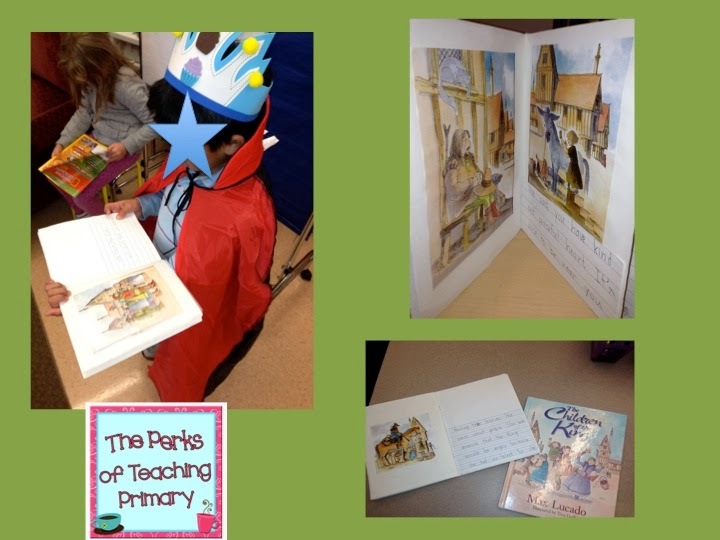 This student not only dressed up but made color photocopies from the story and completed a re-telling to make his own book. This student also dressed up. I think he likes Space…what do you think? 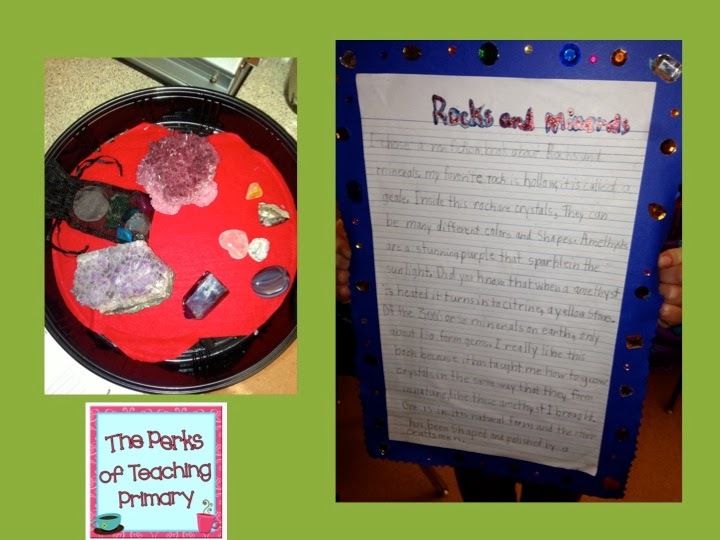 Here is a project on rocks and minerals…students just loved seeing her samples. And one more sample of something just a little different. I loved seeing the more shy kids participating so well. I also loved seeing the students that never seem to get a word in because of other students SHINE! You can see the potential of using this program with adaptations in the older grades. These are so great Shelley! 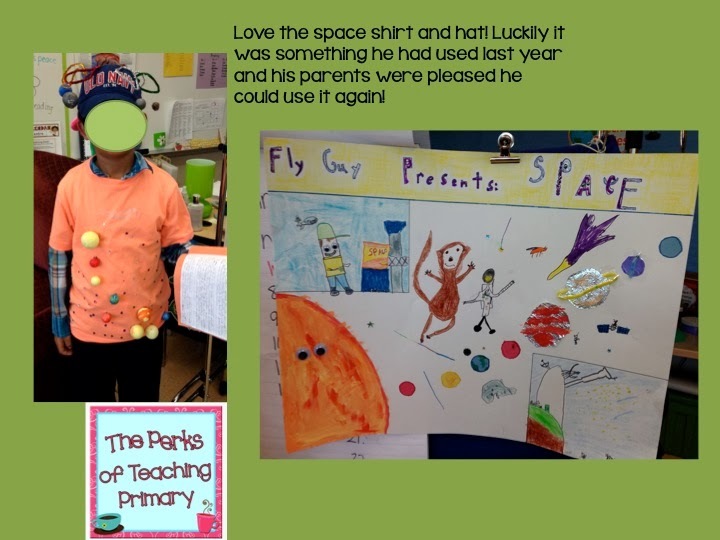 Look at the little one with the planets on his shirt…awww..
We do home reading, but often parents are too busy to take part. In the summer I have a program that is all online, so there are no books to lose! ps: Thanks for the comment on my Hameray Publishing post!!! 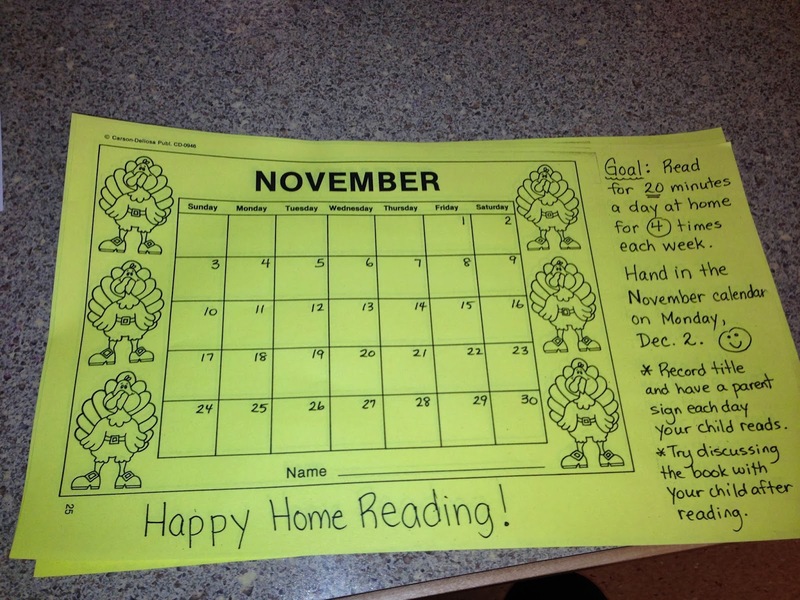 What a great way to strengthen the home-school connection while promoting reading in a meaningful way!!! Love it!